Our lab conducts basic studies of material properties, device physics and engineering. Materials of interest include organic semiconductors (polymers and small molecules), semiconductor quantum dots. 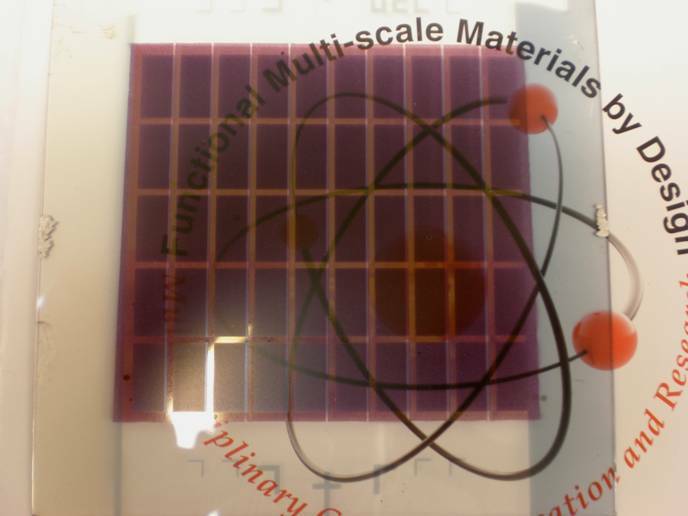 One focus is to fabricate and characterize nanostructure optoelectronic devices ( solar cells, light emitting diodes and thin film transistors). Research facilities consist of optical spectroscopic setup, ns range transient transport measurement apparatus, Mbraun integrated glovebox system, organic deposition system and organic solar cell and LED fabrication facilities, Low temperature apparatus and high vacuum deposition system. 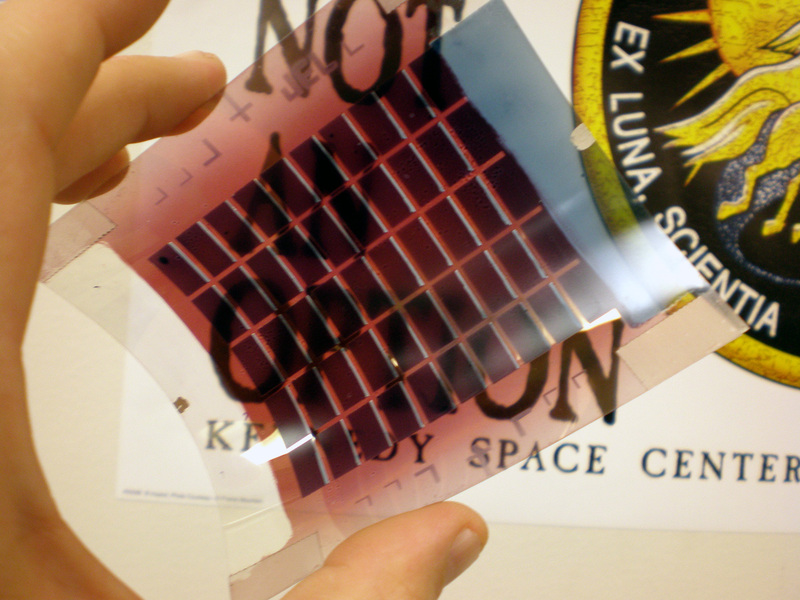 Related nanotechnology includes metrological tools such as AFM, SEM and TEM; thin film coating technology, photolithography and e-beam lithography and MEMS techniques. 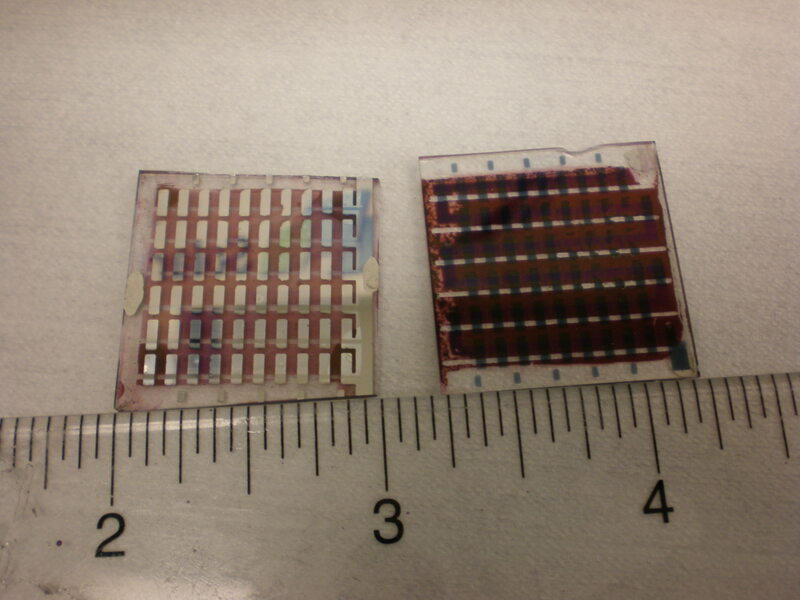 Organic solar array for building integrated photovotaic applications.